Dreams Come True: Win Baby, Win! It brings a whole new meaning to the team "veteran player". This month a 61-year old Vietnam veteran is set to become the oldest player in NAIA college football. Grandfather-of-five Alan Moore, who is 62 in February, has secured himself a spot as a place-kicker on the team at Faulkner University in Alabama. "I'm having a ball." 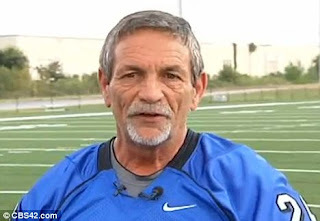 Alan Moore, the 61-year-old Vietnam veteran who is set to become the oldest ever player in NAIA college football. Old timer: Mr. Moore first kicked off as a freshman at Jones Community College, Mississippi in 1968. "There's certainly a generational gap with the kids," Mr. Moore told the New York Daily News yesterday. "They call me a little bit of everything: "grandpa", "old man", "old school", "pops", "grand-daddy". "But I don't mind it. I eat it up. I'm having a ball." Mr. Moore first kicked off as a freshman at Jones Community College, Mississippi, in 1968, but his college football career was cut short when he was drafted. After an 11-month tour with the infantry, he came home and went straight into a job in construction. Where he worked until retiring to an avocado farm in Homestead, Florida. Generation gap: Mr. Moore trains with his Faulkner teammates. He says they call him "grand-daddy" among other teasing nicknames. He has joined the Eagles, who compete in the Mid South conference, after a year with Holmes Community College in Mississippi. Mr. Moore had hoped to return to his alma mater but, after a 42-year gap between classes, the school was not interested in taking him on. Now he is hoping to earn a starting place with Faulkner when the small Christian college opens its season against Ave Maria of Florida on September 10. "You look at it, it's like, from what I'm told, I'm the oldest person to play", a delighted Mr. Moore told the Birmingham News. "To bring that to Faulkner, doesn't take just me, it takes coaches (and) the institution." Veteran player: Mr. Moore hoofs the pigskin over the goal posts at Faulkner. His season is set to kick off on September 10. It will be only the third time that someone of Mr. Moore's years has competed in any college athletics contest. Austin (Texas) college kicker Tom Thompson was 61 when he kicked off once for the NCAA Division III school in 2009. But Mr. Moore will have some time to go to beat the record, set by 73-year-old Ken Mink, a basketballer with Roane State Community College in East Tennessee. But Mr. Moore's key hope not to pursue sport, but continue his education. 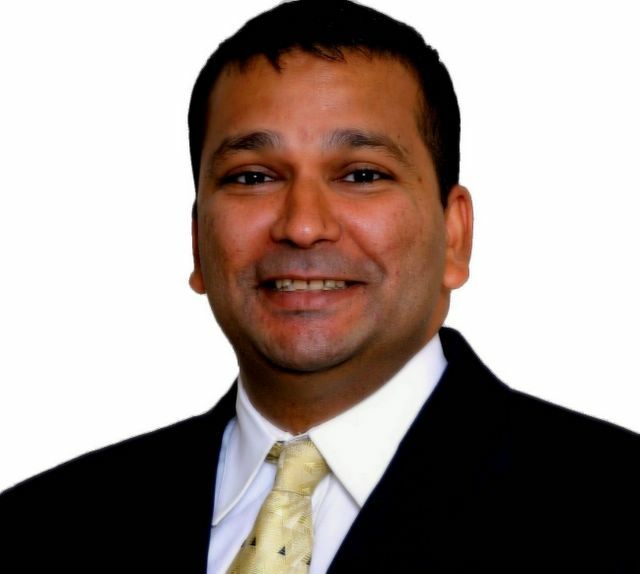 He wants people to understand that nurturing youth is the best hope for the future. "Spend money on education instead of incarceration." he said.